Adolfo Kaminsky, A Forger’s Life is an impressive, attention-grabbing account of undermining corrupt and murderous governments. The Nazi occupation of France forced Adolfo Kaminsky, a brilliant young student fascinated by chemistry and art, to put aside his childhood dreams and set his skills on a useful path: as a forger for resistance forces. In Adolfo Kaminsky, A Forger’s Life, his daughter, Sarah, recollects her discussions with her father and transforms them into a thrilling, novelesque account of how a young man became a sought-after subversive force. Kaminsky’s career as a forger began with persecution, and as such, his story does not always take happy turns. His family was of Russian-Jewish origin, and was forced into a second-class existence in Paris, and his mother was murdered. Kaminsky himself was eager to become a part of the French Resistance to Nazi occupation, and soon became an invaluable forger for those in desperate need of new identity papers. He recounts churning out paperwork for hundreds of residents in days, knowing that an hour of sleep could come at the cost of human lives. Pages related to his resistance work race by. Though the risks of his work are always clear, Kaminsky takes a matter-of-fact approach to the work, regarding it as necessary and humane; he accepts no payment for it, and remains destitute for much of his working life. He pounces upon challenges, like reproducing the complicated Swiss passport, and defeats them with a mix of panic and alacrity. He mourns coconspirators who are discovered and disappeared. And after the war is over, he finds a way to leverage his skills into new acts of defiance, aiding those fighting for Algeria’s freedom and those combating apartheid, amongst others. 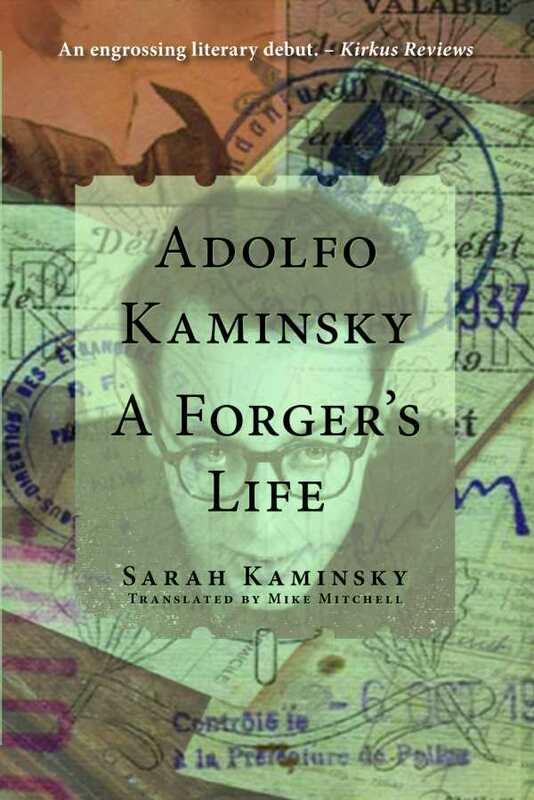 Adolfo Kaminsky, A Forger’s Life is an impressive, attention-grabbing account of undermining corrupt and murderous governments, written in the voice of a man who is both self-effacing and proud, who knows that his work is important, but who wants no accolades for it. He was simply doing the right thing, he insists again and again, and if that had to come at the expense of relationships and feelings of security, so be it. This is a triumphant wartime biography, full of accounts of heroism and near-alchemistic craftiness, that should impress all those looking to celebrate underlauded World War II heroes.